You are here: Home > MCSD News & Alerts > MCSD News & Alerts > CMS News > Costume Swap at the Library! 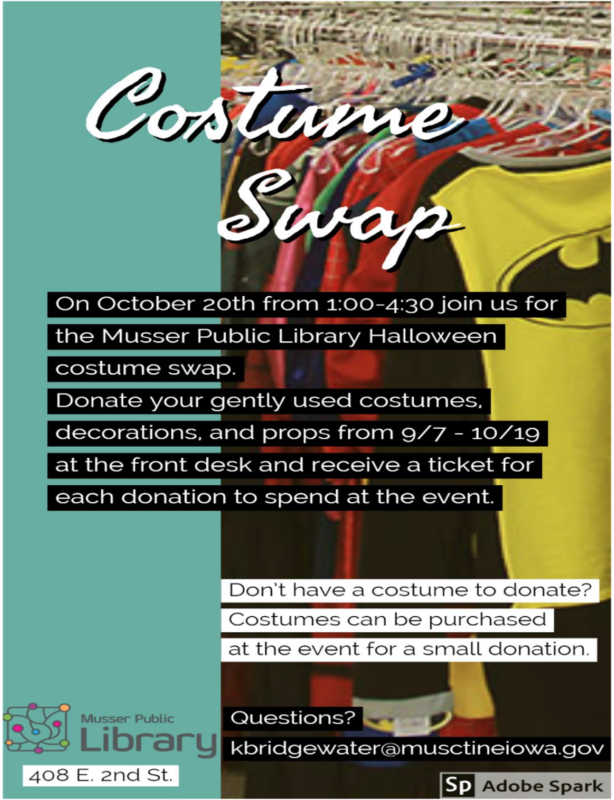 Description: Join Musser Public Library on Saturday, October 20th from 1:00-4:30 for a costume swap at the library. Donate your gently used props, kids/teens/adult costumes, and decorations until October 19th and receive a ticket for each donation to “spend” at the event for a new-to-you item.